Twitter is a great way to connect with users, customers, and clients. GaggleAMP encourages businesses whose content is pertinent to the user base on Twitter to Tweet and interact on that platform regularly. Many marketers are left wondering if their Tweet is finding its way to the right people and for how long their Tweet is truly active. GaggleAMP has found that the life of a Tweet is about 1 hour, and here’s how it breaks down. Tweets can increase their life expectancy through the use of good Twitter tactics such as hahstagging or using mentions, so we wanted to get the baseline lifespan without these extras. In order to track the clicks, the Tweets we studied had to have a URL, and we wanted it to be shared originally by only one person in order to get a singular data tracking source. In addition to our findings, it’s important to consider the short-term and immediate effects of your Tweet on the user database. For instance, in the first ten seconds that your Tweet is posted, it’s pushing out across a network of Twitter feeds. There are about 9,100 tweets scrolling by per second on Twitter. Your followers have choices -- lots of them -- on which tweets to engage with. The way to take advantage of these first few, precious minutes is to amp up your Tweet with different effective marketing techniques such as using hashtags or mentions. Make sure that your staff members are interacting with pertinent Tweets as well on their employee profiles, and engage with users who are engaging with your Tweet! That’s simply good communication. Remember, things move fast on Twitter. Make the most of your Tweet’s 1 hour life. 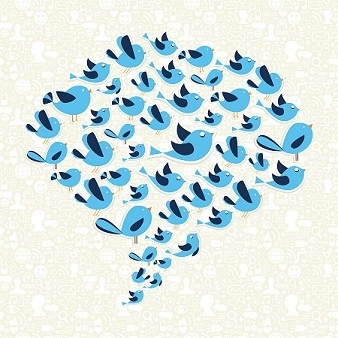 Here's how to integrate digital media via Twitter!